New brands on Instagram need the right combination of tools to succeed. 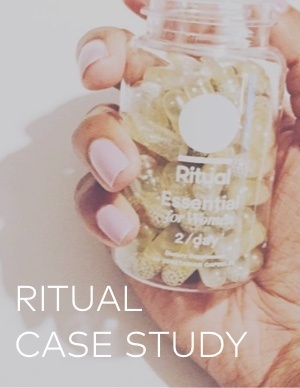 Learn how Dash Hudson helped emerging multivitamin brand Ritual alleviate its pain points and achieve impressive growth on Instagram in six months. How Ritual grew its audience by +302%! Ritual's content strategy and how Dash Hudson insights helped it to evolve and improve. How Ritual leverages Dash Hudson to cultivate community and streamline cross-functional workflows. Download the case study now to get the prescription!